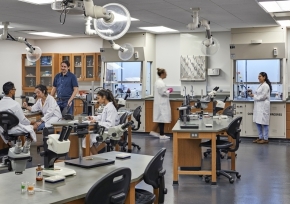 RFD’s team of architects, engineers and technical staff specialize exclusively in the programming and design of laboratory facilities for college and university, industry and governmental clients. Our firm exists to help Owners and Architects create innovative, functional laboratory environments for learning, research and development. RFD brings unparalleled experience and a broad perspective from our laboratory projects throughout the U.S. and around the world. Our proven process helps owners and architectural teams develop the most appropriate, innovative and well-integrated solutions to meet their project-specific needs in a cost-effective manner. Please call us. This site represents only a glimpse of RFD’s experience. We are passionate about laboratory planning, and look forward to providing you with project or owner specific qualifications. A new Conference has been added.